Stanisław Latwis (1906–1935), lieutenant, military pilot, instructor and air observer, author of the melody of Marsz lotników (March of aviators). 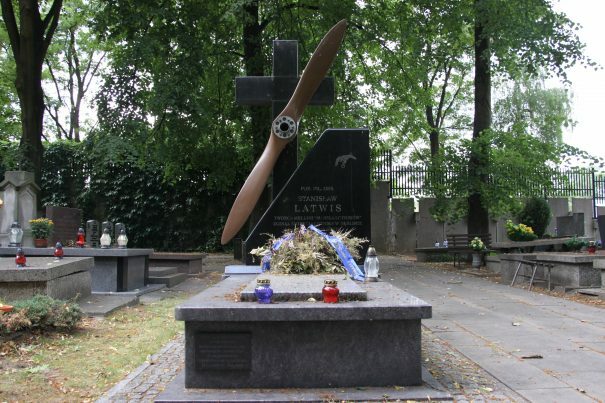 Stanisław Latwis had another passion, apart from aviation, namely, music. It was thanks to the combination of these two passions that in 1933 the Marsz lotników (March of aviators) was created. The melody was played for the first time on Polish radio on July 22, 1934. The piece was composed for piano, choir and orchestra. The musical work is also often called the March of Latwis and up to this day it is a significant element of the most important Polish holidays and events associated with aviation. The author of the text for the March of Aviators is Aleksandra Zasuszanka. Tourist Plane Competition in Warsaw. 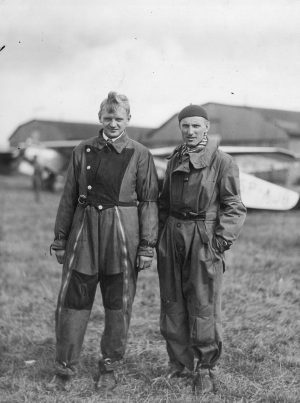 First place winner Stanisław Latwis (on the right) and second place winner lieutenant Eugeniusz Przysiecki. PZL 5. 5th National Tourist Light Planes Race in Inowrocław. 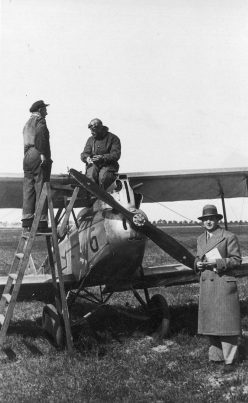 Pilot Stanisław Latwis (Warsaw Flying Club) refueling his PZL 5 airplane.